No matter what the problem, whether it be a dripping tap, or just tidying up a bit of pipework, no job is too big or too small for us. We provide servicing and maintenance on a number of systems, from water softeners to gas and electric water heaters. Just give us a call, and if we can help you save money, we will. We are not in the business of providing unnecessary callouts if our clients can rectify a problem themselves, so we will give you as much advice as we possibly can before sending an engineer. 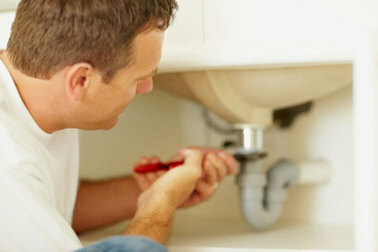 Below is a list of just SOME of the plumbing services we offer, in addition to those already mentioned elsewhere on this website. And remember, if it's not on the list, it doesn't necessarily mean that we can´t help you! Just give us a call.